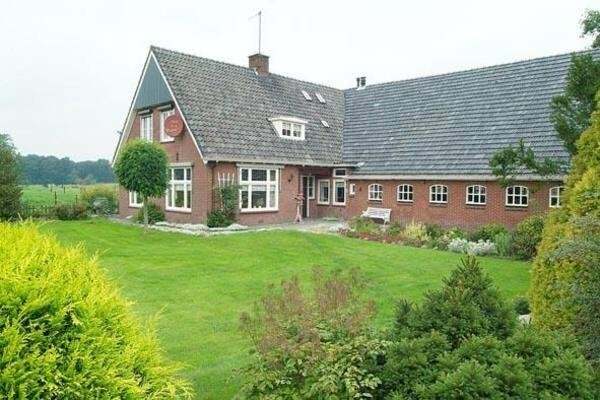 Spacious farmhouse with 4 bedrooms and storage room. Layout: entrance / hall, laundry room and storage room. The kitchen with provision cellar has a beautiful newly installed kitchen (November 2013) and is equipped with appliances, door to tasteful bathroom with toilet, shower and sink, spacious living room with great view over fields, 2 bedrooms. 1st floor: landing, 2 bedrooms with closets. - The garden is newly landscaped and maintained in consultation by a gardener.